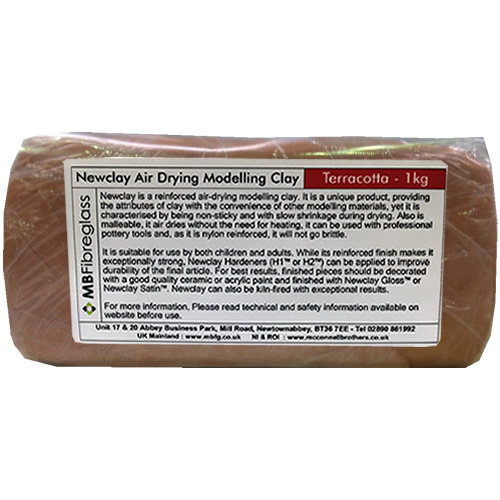 Newclay™ is a reinforced air-drying modelling clay. 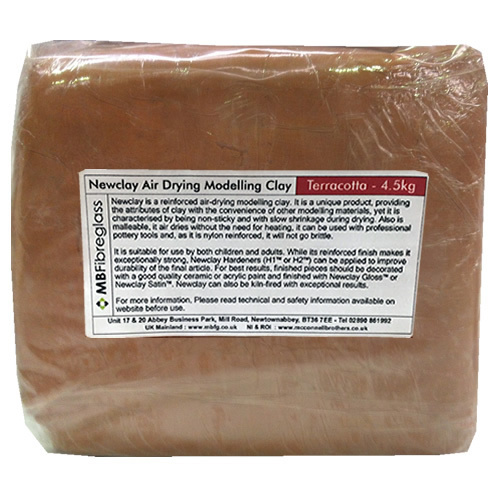 It is a unique product, providing the attributes of clay with the convenience of other modelling materials, yet it is characterised by being non-sticky and with slow shrinkage during drying. 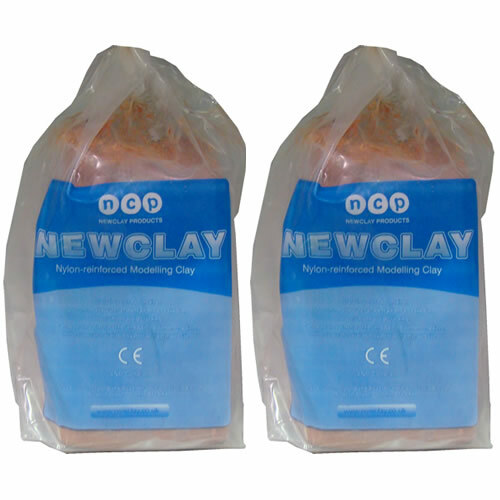 Newclay™ is malleable, it air dries without the need for heating, it can be used with professional pottery tools and, as it is nylon reinforced, it will not go brittle. It is suitable for use by both children and adults. While its reinforced finish makes it exceptionally strong, Newclay Hardeners (H1™ or H2™) can be applied to improve durability of the final article. For best results, finished pieces should be decorated with a good quality ceramic or acrylic paint and finished with Newclay Gloss™ or Newclay Satin™. 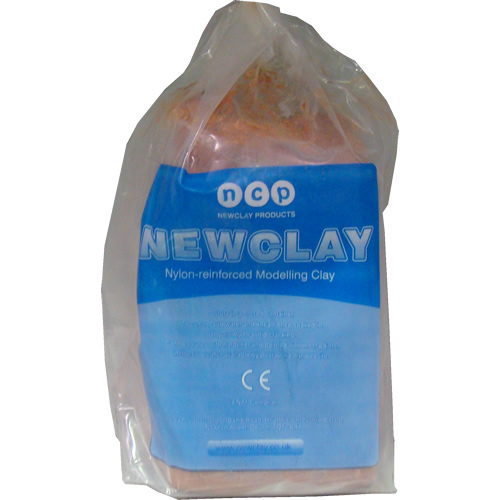 Newclay can also be kiln-fired with exceptional results. This clay is Terracotta in colour.